At 241 years old, the US is still a relatively young country, but that doesn’t mean we have any shortage of national traditions. Eating red, white and blue foods to commemorate Independence Day is a fun food tradition that I always take on as a culinary challenge. 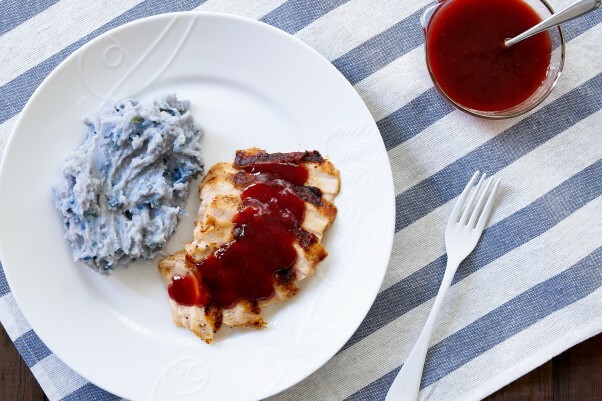 Last year, I showed you how to make a red, white and blueberry potato salad. This year, I decided to focus on one color… Strawberries are often used for flag themed desserts, but I don’t see them being used very often in savory dishes, which is why I wanted to see if I could do something fun and delicious with them for a Fourth of July barbecue. 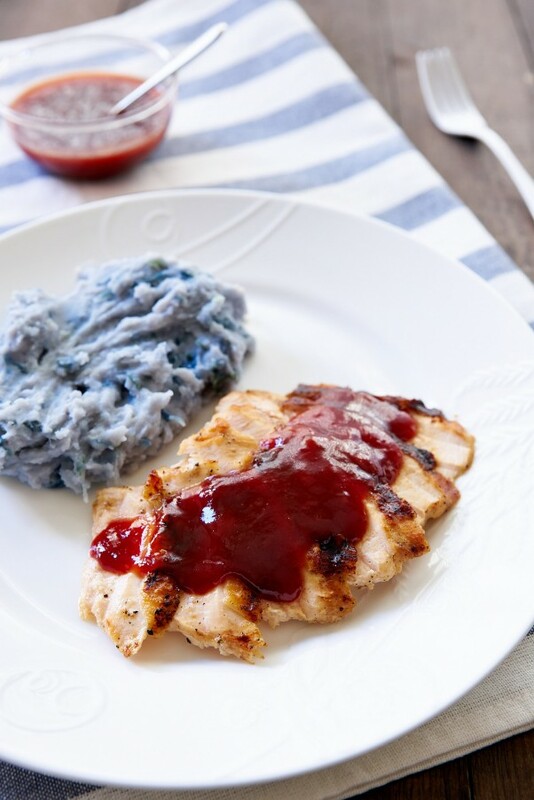 Although this strawberry barbecue sauce started off as a personal challenge, it turned out so good that I think I may actually prefer it to regular barbecue sauce. 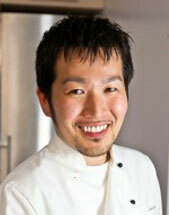 I served it here with a grilled chicken breast, but this would be equally good on other cuts of chicken, lamb or pork. Because of the high sugar content, I don’t recommend glazing your meat with it until the very end, as it will burn quickly. Just rub your meat with some vegetable oil and generously sprinkled it with kosher salt and pepper before grilling it. Then you can brush the sauce on when the meat is almost done, flipping it over a few times to caramelize it a bit. If you don’t have a grill, you can also pan-fry your chicken and then glaze it a bit like how you’d make chicken teriyaki. In case you’re wondering about the side, they’re blue mashed potatoes which I made using a neat trick with red cabbage to give them their vibrant blue color. Add all the ingredients to a non-reactive pot and bring to a boil. 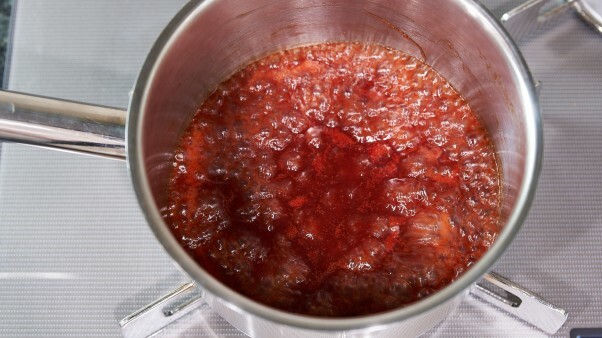 Cook the strawberry barbecue sauce, stirring regularly until it reaches your desired thickness (2-5 minutes). Let the sauce cool completely before storing it in a jar, in the fridge. Caesar Salad in Tacos?! Simply Delicious.